Chinese smartphone maker Huawei says the Australian government has banned it from providing 5G technology for the country's wireless networks. It said fellow communications firm ZTE had also been banned, both reportedly because of national security concerns. "This is a extremely disappointing result for consumers," the company said on Twitter. Faster data download and upload speeds are promised with 5G, which is the next stage of mobile internet connectivity. Wider coverage and more stable connections than current 4G technology are also highlighted as benefits. Several countries are preparing for the roll-out of 5G mobile networks, although analysts say few will launch 5G services before 2020. Mark Newman, from the consultancy ConnectivityX, said: "5G is going to be the next significant wave of mobile infrastructure deployment. "If existing suppliers are banned, it will be quite a major blow for them." Huawei is the world's biggest producer of telecoms equipment. It also ranks second in global smartphone sales, behind Samsung and ahead of Apple. In July, a UK security committee warned that it had "only limited assurance" that Huawei's telecoms kit posed no threat to national security. The UK's cyber-defence watchdog - the National Cyber Security Centre - has also warned that the use of ZTE's equipment and services could pose a national security risk. "As we move into 5G, a greater proportion of the network is controlled by software," said Mr Newman. "There is an argument that in this software realm, concerns about who is managing the network and where from are heightened." On Thursday, the Australian government said national security regulations that were typically applied to telecoms firms would be extended to equipment suppliers. Companies that were "likely to be subject to extrajudicial directions from a foreign government" could present a security risk, it said. 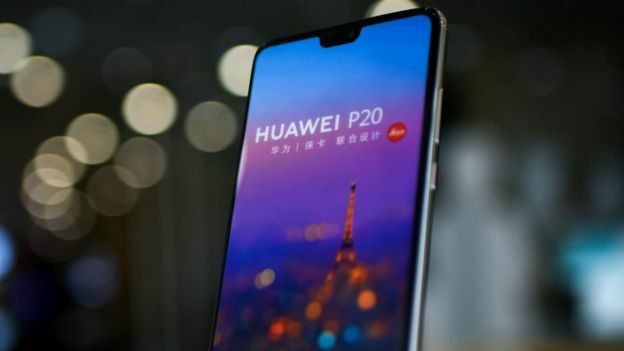 The United States has previously banned Huawei from bidding for government contracts because of fears over espionage. ZTE has also had its activity restricted in the US. China's foreign ministry spokesman Lu Kang said Australia should not "use various excuses to artificially erect barriers". It called on Australia to "abandon ideological prejudices and provide a fair competitive environment for Chinese companies". Huawei has defended the security of its products. "Huawei is a world leader in 5G," the company said in a statement. It said it had "safely and securely" delivered wireless technology in Australia for close to 15 years.